Insulin is a hormone produced by the pancreas that regulates blood sugar and allows the body to process sugar as energy. When blood sugar rises too high, it causes diabetic ketoacidosis in which acid builds in the bloodstream and the body shuts down. 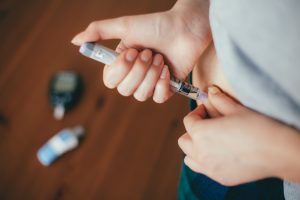 Those with Type 1 have to inject insulin daily just to stay alive, and almost one-third of those with Type 2 must do the same. Before injectable insulin was discovered in the 1920s, a diabetes diagnosis was a death sentence. Insulin was a medical miracle that finally allowed people with diabetes to live longer lives. Now, there is a high price for that miracle. The three men who held the patent for insulin in 1922 sold it to the University of Toronto for a mere $1 each in the hope that those who needed it would have affordable access. Today, their hope is not a reality for most. 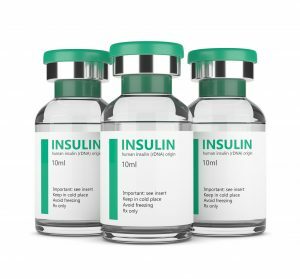 According to T1 International, the list price of insulin in the U.S. has increased by 1,123 percent since 1996. And from 2002 to 2013, the cost tripled. The reason behind the price spike is complicated. It could be attributed to the three companies that control 99 percent of the insulin market in the U.S. It could be the pharmacy benefit managers who negotiate discounts with manufacturing companies. Or it could also be the fact that no generic version of insulin exists. The lines are blurry, and the areas are gray. Quinn said she uses about two vials of insulin a month, but that number can vary depending on the person, and if that person doesn’t have insurance or medical assistance, the price skyrockets. This becomes even more critical given the fact that insulin has a short shelf life and is extremely temperamental. High prices have forced individuals to choose whether to buy insulin or buy other necessities. As a result, some have resorted to rationing their insulin. This can have long-lasting complications or deadly consequences. “Literally, the one medication that will keep us alive or out of an emergency room has been priced so high that most Americans with diabetes have had to resort to rationing,” Quinn said. She described what happens to your body when you ration or stop taking insulin. First, blood sugar begins to rise and remains elevated. You develop flu-like symptoms including fever, shortness of breath and dehydration, and you urinate constantly as your body tries to rid itself of excess sugar. Once your blood sugar has been elevated for multiple days, more intense symptoms kick in such as blurred vision, abdominal pain and vomiting. Acid floods your bloodstream, and because your body cannot use the sugar for energy, it must salvage energy elsewhere. It starts by consuming fat, then muscles. Eventually, organs shut down. You fall into a coma, and if you don’t receive insulin, you will die. In October, Minnesota became the first state in the nation to take federal action when Minnesota Attorney General Lori Swanson sued the three insulin manufacturers over the prices. Quinn is encouraged by this step and hopes other states will follow suit. As for the rest of the public, Quinn said that if they are passionate about diabetes or the cost of insulin, they should get involved by contacting their representatives or joining advocacy groups. One way to do this is through the Minnesota chapter of T1 International, a global organization that is solely committed to the high cost of insulin. The Minnesota chapter will be established in the coming months. Those who are interested can visit www.t1international.com or email Quinn at quinn@datelinediabetes.org. 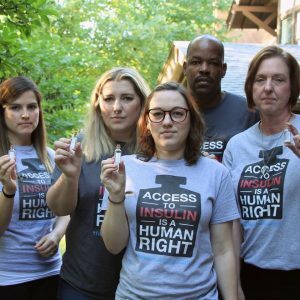 Another opportunity is a State Capitol rally on Feb. 21, 2019, to lobby for legislation to be passed that will help with the high insulin cost in Minnesota. Diabetes Online Community (DOC) is an online community that offers support, resources and someone to talk to who is experiencing the same thing. The American Diabetes Association free hotline – 1-800-342-2383 (1-800-DIABETES) – can help point people to the help they need. T1 International is a global organization that is solely committed to the high cost of insulin. Those who are interested can visit www.t1international.com. Tri-County Health Care’s Change Your Weighs Support Group is held every other month to offer nutrition resources, information and support. Contact the Diabetes Education Department at 218-632-7113. About Quinn: For the past two decades, Quinn Nystrom has shared her story with more than 300,000 people across North America. 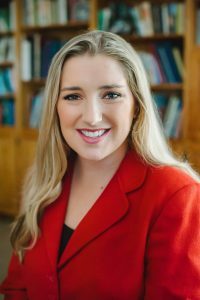 At 16, she was chosen as the National Youth Advocate for the American Diabetes Association and currently sits on the Community Leadership Board for the Minnesota Chapter of the American Diabetes Association. She is the author of “If I Kiss You Will I Get Diabetes?” and was appointed by Minnesota Governor Mark Dayton to the Council on Disabilities. She also worked for Tri-County Health Care in the marketing department for three years. Learn more about her here.